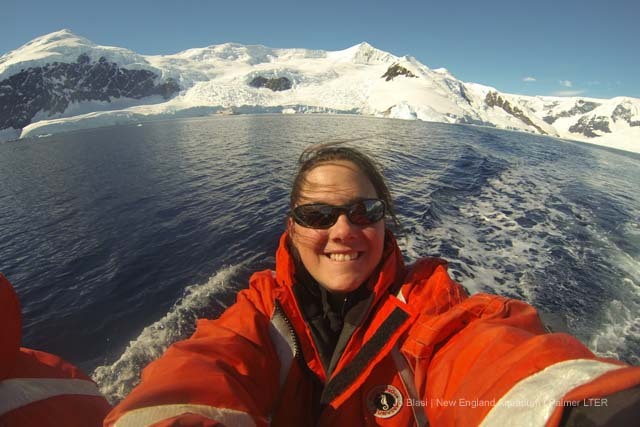 Aquarium senior educator Jo Blasi has recently returned from an expedition to Antarctica where she helped scientists based out of the Palmer Long Term Ecological Research station. They are examining changes in the marine ecosystem and climate change. Jo also took excursions to see native wildlife. Here are some of her pictures and video. Read all her posts to learn about her expedition, research and marine life encountered during the trip. It was hard to believe, but it was finally time to head home. After working hard for several weeks, the LMG and her crew headed back north. 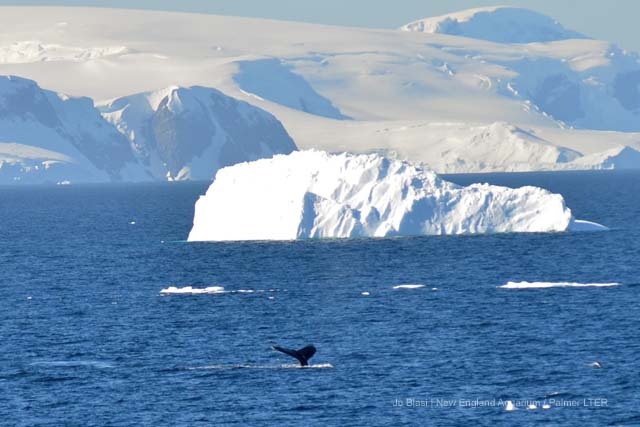 As we spent our last few days in Antarctic waters, we were fortunate to have fantastic weather and to see some spectacular views of the Western Antarctic Peninsula! 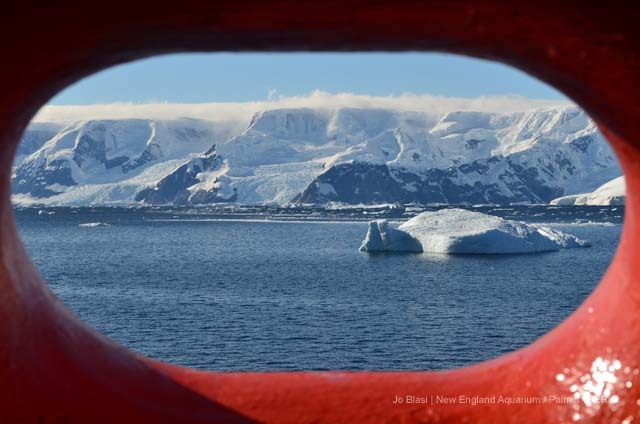 Everyone was out taking pictures of the amazing ice covered peaks, icebergs and wildlife. The time for fun was short-lived, however. Within the week, the LMG returned to Palmer Station, transferred personnel and gear, crossed the Drake Passage and was back in Punta Arenas. And just like that, my time in Antarctica was over. Back at home, I’m beginning to process all that I’ve seen and done…and sorting through close to 6,000 photographs. Looking through my photos I find images of blue icebergs, towering glaciers, penguins with their chicks, phytoplankton underneath the microscope, sunsets on mountain peaks. 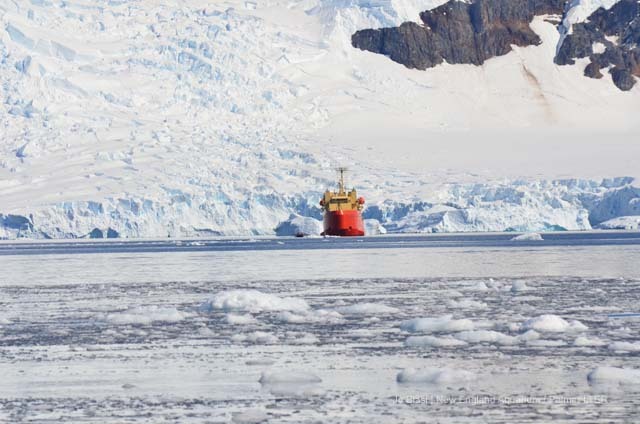 I also see pictures of people working hard to collect scientific information on this environment, an environment that is changing rapidly as temperatures rise due to climate change. Ecosystems run on a delicate balance. Everything relies on something else. 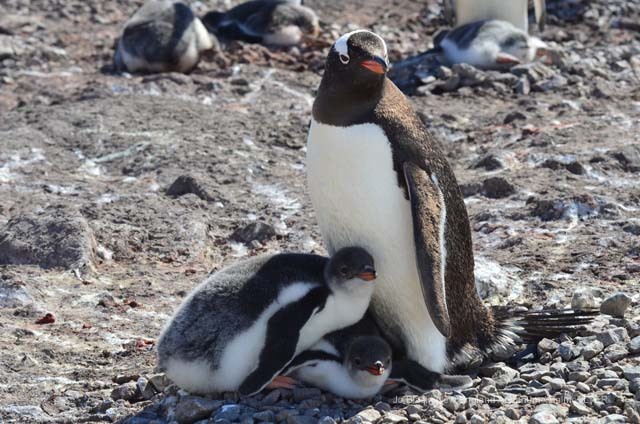 Here, microbes help transform nutrients, phytoplankton feeds krill, krill feeds penguins and whales, seals eat penguins. 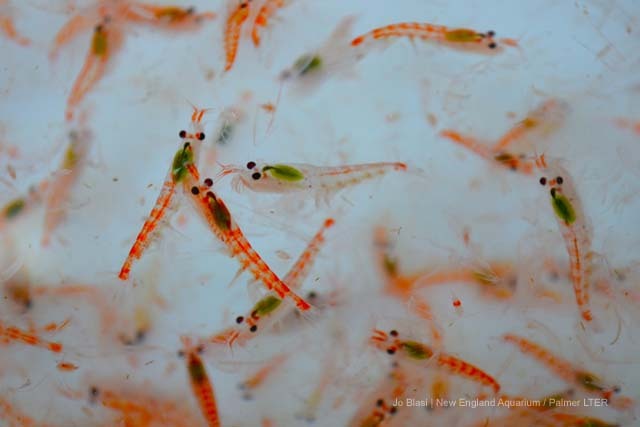 As temperatures rise rapidly over the western side of the peninsula, changes are occurring and the important connections between organisms are being altered. LTER scientists are trying to determine the connections are and this year’s data adds one more piece to the puzzle. So what did we find? Some answers will have to wait until samples can be analyzed back in the lab. Other observations are more immediately answered. 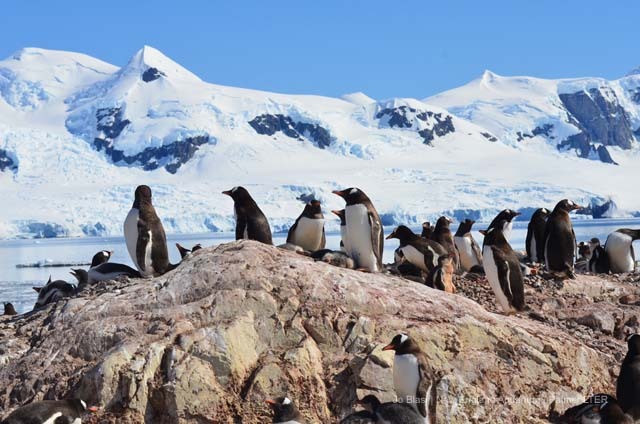 Adélie penguin colonies changed in size. 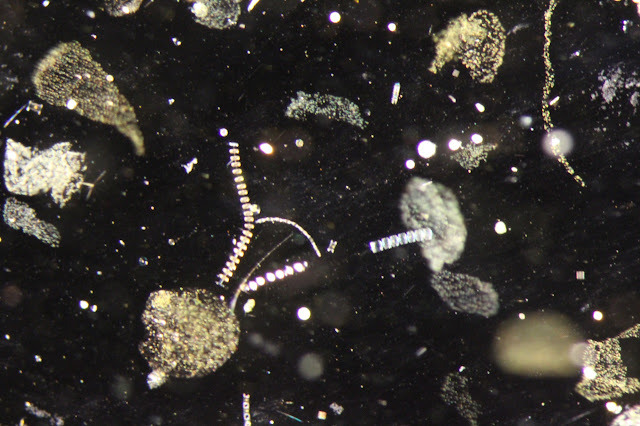 A species of algae was observed in an area it is usually not found. Higher primary productivity levels were seen as we travelled south. 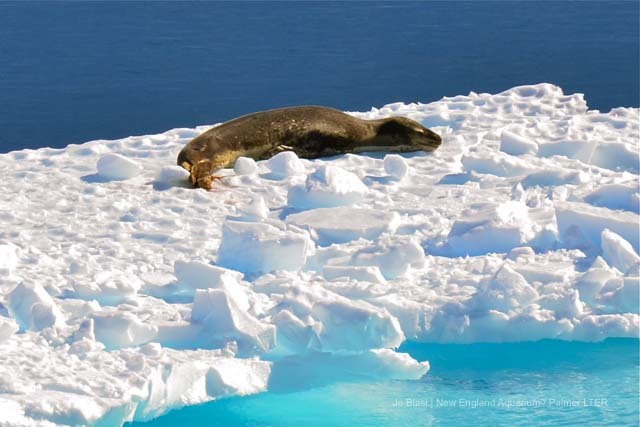 Crabeater seals were abundant in areas of high crystal krill (Euphausia crystallorophias) concentrations. 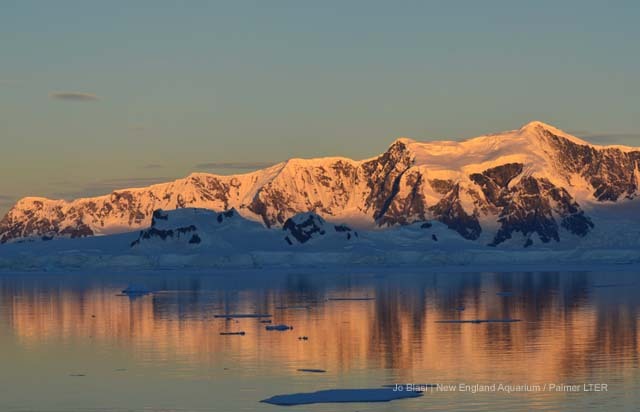 All of the research done gives scientists a clearer picture of what’s happening in the Western Antarctic Peninsula puzzle this year. But what does this mean for the bigger picture? Changes are happening. What the ultimate result will be is a bit harder to determine. I can’t help but wonder if this polar environment will be here for future generations. I hope so. I’m thankful to have seen it and to have worked alongside the dedicated LTER researchers who study this amazing area. It’s now time for me to help in my own way, telling others about this stunning environment. 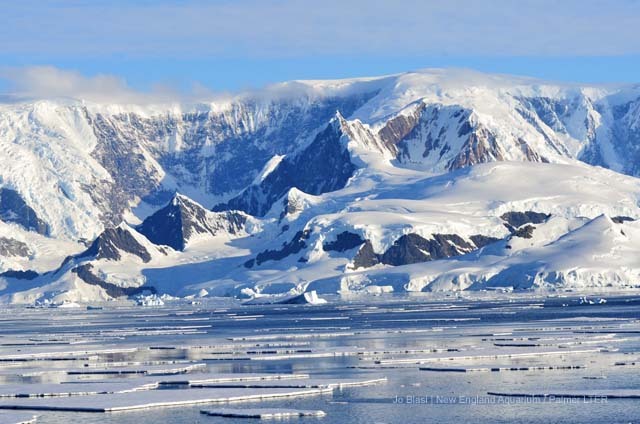 Humans have become part of Antarctica’s, and the ocean’s, delicate balance. Hopefully we can make positive changes that lead to healthy ecosystems and a healthy ocean for our future. Many of Jo's entries are cross posted on the Palmer Long Term Ecological Research Station site here. Learn more about the Palmer Long Term Ecological Research Station and meet some researchers and explore the station with our archived Google+ Hangout with Palmer!